No matter how near or far, Collins Towing and Recovery will be there! 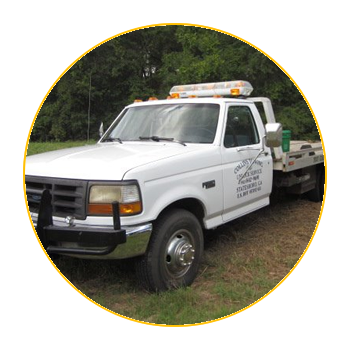 Statesboro’s best Towing and Asset Recovery Service. 24/7 Emergency Roadside Assistance. We know that being stranded alongside a road is extremely troublesome and frightening. We are here to help no matter what time of the day (or night). 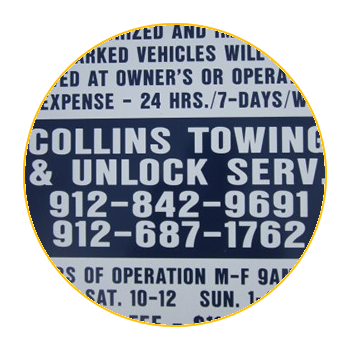 Whether you need tow service, vehicle unlock services, tire change assistance, fuel delivery, or roadside assistance, you can call Collins Towing and recovery. It is our mission to ease the inconvenience by sending help as quickly as possible. Whether you are in need of roadside assistance or disaster relief, you can count on Collins Towing and Recovery. Our winch-out service can pull your vehicle out of most any situation, day or night. Our collision response tow services are fast, efficient and trustworthy. We are ready to go the extra mile for you. Call us today at 912-687-1762. At Collins Towing and Recovery, we offer the finest in asset recovery services. We maintain a fast, professional, and effective manner throughout the repossession process, so you can rest assured your assets are recovered in the best condition possible. 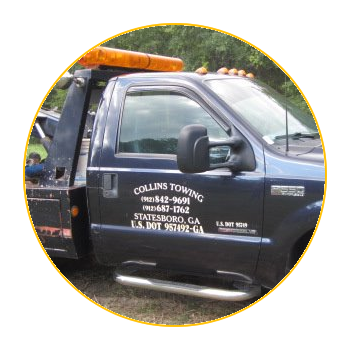 Whether you are a lender, or you need private party recovery services, you can rest assured Collins Towing and Recovery will get the job done. Website designed by UP Market Media, Inc.